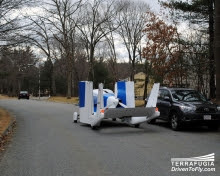 Terrafugia, a Massachusetts based firm, has announced they are developing a vertical takeoff and landing vehicle called the TF-X which could, in theory, hop over traffic and fly for 500 miles. 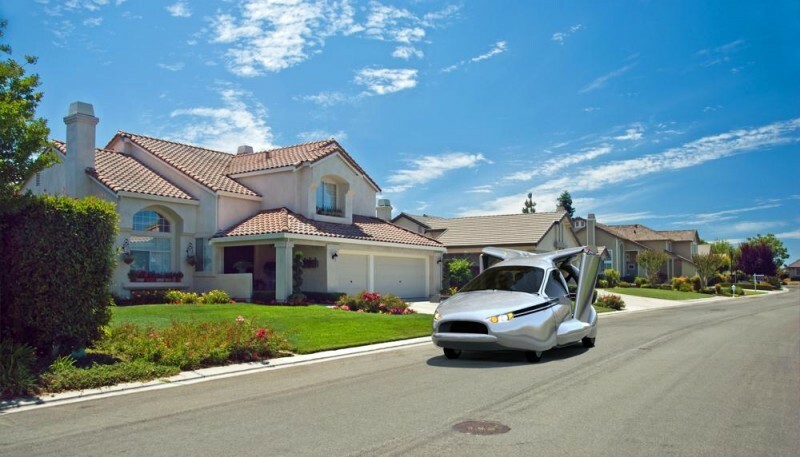 The vehicle would cost approximately $300,000. 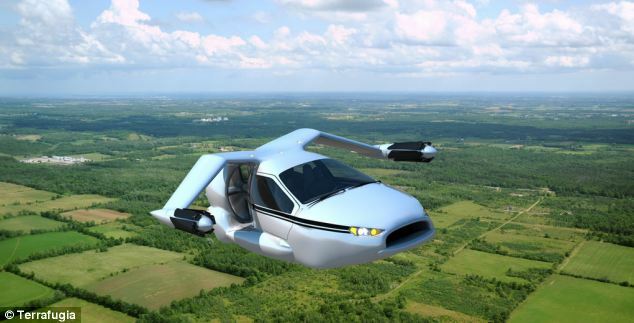 The TF-X will travel at 200mph powered by a 300 hp jet engine. On the ground, the TF-X is a plug-in hybrid and drives like any other automobile. I'd love tooling around in this and all of the stares and gapes it would garner. 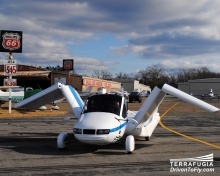 It also can take off vertically. The car on the street and highway with the wings folded. 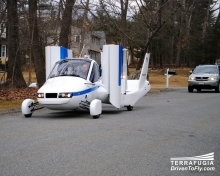 The company also offers a propellor version of this car/aircraft know as the Transition®. This version is in a more advance stage and is a more economical version.